Preparing for Typical Interview Questions. These are behavior-based interview(BBI) questions. If BBI is new to you, don't panic. It was designed to reduce hiring errors by focusing on a job-hunter's past. The interview isn't just about your stories. Beyond the purely technical questions specific to each job, I have listed the typical questions interviewers ask. These are behavior-based interview (BBI)questions If BBI is new to you, don't panic. It was designed to reduce hiring errors by focusing on a job-hunter's past experience and behaviors instead of relying on an interviewer's gut level decision-making ability. BBI questions actually focus on the core components of your accomplishments. Rather than asking how you would behave in a particular situation, the interviewer will ask you to describe how you did behave in a similar situation. If you prepare reasonable answers to the following questions, you'll be well on your way to acing your interview, no matter who is conducting it. What key factors have accounted for your career success to date? During past performance reviews, what have been consistently cited as your major assets? Why? What aspects of your current position could be better performed, and what kind of improvement could you make? If we asked two or three of your peers who know you well, to be somewhat critical of your performance, what two or three improvement areas would they likely identify? Why? If you could, what two things would you most like to change about yourself to improve your overall effectiveness-and why? What have been your last three performance evaluation ratings? Why? In what areas does your performance excel? Why, in your judgment, are certain businesses successful? In your judgment, what factors account for most business failures? What kind of operating style do you feel is not conductive to good performance? Why? What basic values and beliefs do you feel are important to good performance? How would you categorize the traits and attributes of a good manager? Why are these important? What are some of the techniques you use to motivate poor performers? Give me some examples of how you have used these techniques. How could these have been improved? What is the toughest decision you have had to make as a manager? Give me an example of a complex communications problem that you faced. Why was it difficult to communicate? How did you solve this problem? Why? How effective were the communications? What evidence do you have of this effectiveness? How might you have further improved the communications? If you caught one of your most valued employees doing something dishonest, what would you do? If your boss told you that you had a "stupid idea," but you knew it was a very good one, what would you do? What is, perhaps, the most complex business analysis you have had to make? What factors made it complex? How did you tackle this task? How did your result reflect the effectiveness of your analytical abilities? Describe a work situation where you knew you were right, but the odds of winning were such that you felt you had to abandon your position? What odds did you face? How great was the resistance? What approaches did you use? How long did you fight? What factors persuaded you to abandon your position? Typical Interview Questions Source: Jay Conrad Levinson is the author or coauthor of the more than 32 books in the biggest series of books on Marketing in history. His ideas have influenced marketing so much that today his books appear in 37 languages and are required reading in many MBA programs worldwide. Jay taught guerrilla marketing for 10 years at the extension division of the University of California in Berkeley. He was a practitioner of it in the United States-as senior vice-president at J.Walter Thompson, and in Europe, as creative director at Leo Burnett Advertising. The term "behavior-based interview questions" is new to many students. If you want to have a successful job or internship interview, you need to understand what these questions are, then be prepared to answer them. Best questions are those that ask you how you behaved in the past, because past behavior is the best predictor of future behavior. While there are as many different possible interview questions as there are interviewers, it always helps to be ready for anything. 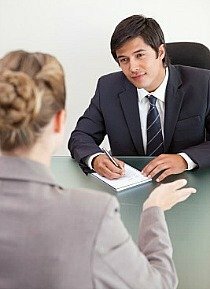 Here is a list of 100 potential interview questions. Prepare for typical interview questions. Be careful that the dislikes you talk about do not refer to specific characteristics of the job opportunity you are interviewing for. Stay away from reasons such as overtime and salary. Avoid criticism of your boss, management or co-workers. Be general and refer to the lack of or absence of what you seek in a job or work environment.